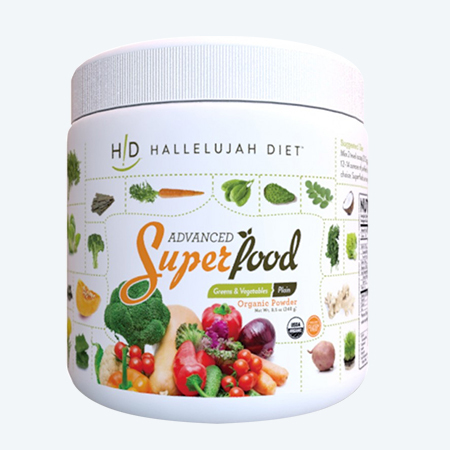 Advanced Superfoods are made with a blend of 35 organic ingredients including cereal grass juice powders, leafy greens, microalgae, sprouts, prebiotic fibers, sea vegetables, and other vegetables. A wide variety of rare, nutrient dense vegetables are specially sourced to ensure each serving provides a diverse array of nutrients – many unlike anything you can find in your local grocery store. An all-in-one food product, Organic Advanced Superfood products are a convenient way to fuel your body. You can be confident that you are consuming the very best! Organic Advanced Superfoods are available in plain and berry flavors. Organic Advanced Superfoods makes it convenient for you to consume the recommended amount of greens in your daily or weekly diet. Most people mix 1 level scoop (8 grams) of Organic Advanced Superfood powder in 12-14 ounces of purified water or juice. But the truth is, you can use it how you like! Blend it in your smoothie, shake or your favorite beverage of choice. More than once serving per day is perfectly fine – in fact you may prefer it through the day. Made from the highest quality of raw foods, Organic Advanced Superfoods are USDA organic, Gluten Free, NON-GMO, and 100% Vegan.